Readers of True Stories Well Told who have read Kalyanii’s earlier essays will cheer, as I do, her accomplishment in publishing her novel Om Namah. Its straightforward categorization as “FICTION / Contemporary women” hides the deep and subtle interplay between truth and fiction found between its covers. 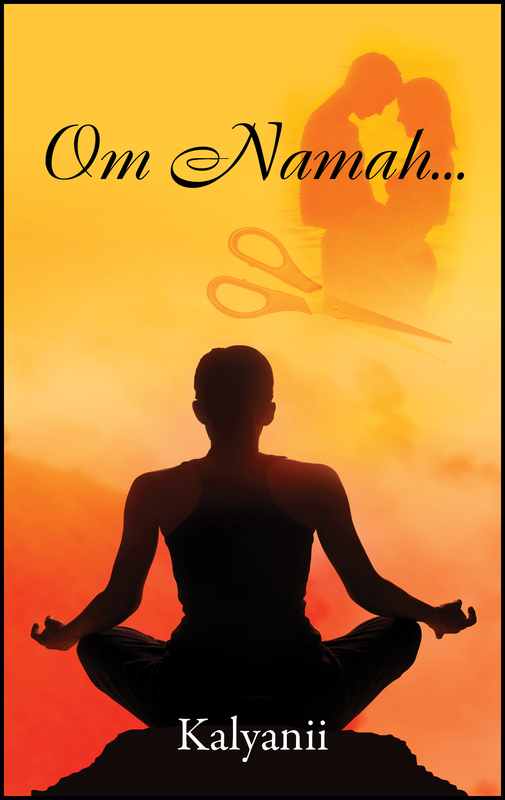 Om Namah tells the tale of a trusting spiritual seeker who surrenders to the wisdom of her teachers, only to find herself lost in a maze of polyamory and manipulation. Author Kalyanii tells the story of discovering her will to break free and courage to recover. Om Namah takes the form of 108 short chapters. I read it almost without pause, I was so compelled by the story and the lyrical quality of Kalyanii’s writing. Om Namah is divided into two parts. Throughout the first, a feeling of dread mounts as the protagonist Kaayva becomes more embroiled with a controlling couple. I think most of us hold some fear of cults, based on the Manson and Jones cults of the 1960s. I imagine many of us known someone affected by a cult experience. My concern deepened as I realized the peril hanging over Kaavya. In the second part, we follow Kaavya’s recovery. It offers a kind of roadmap to rebuilding a strong sense of self, almost from scratch. The result was a very satisfying read, as I hope the excerpt below shows. As a reader, I was already scared for our protagonist as this chapter begins, only three pages into the book. When Amma, the beloved Hindu guru, schedules a retreat in Detroit a short time later, Jaswant asks you to accompany him and his wife, Shabhavi, on their pilgrimage. He says he understands if you are uncomfortable practicing amid the lush and intensely expressive environment cultivated by Hindu ritual but feels that it would be a valuable introduction to that which enhances his own core practice, not to mention an experience of a lifetime to be embraced by a living Saint. You couldn’t be more honored by his invitation, and your hands tremble as you slide a paperclip on this week’s attendance log. Sharing such a precious opportunity with your Acharya is beyond your wildest imagination, but you must decline as you have no extraneous funds. The divorce has left you starting over from scratch. You need every penny to cover your monthly bills. “Thank you, but that’s far too much to ask,” you protest. For a moment you are silent, trying to wrap your mind around his most generous offer: your potential inclusion within your Acharya’s personal practice and the prospect of surrendering yourself to Amma’s embrace. In spite of the smile that reaches your eyes, the one who appears more excited by the prospect is Jaswant himself. I recently sat down with Kalyanii to talk about her writing process. K: Om Namah started as a short story written in advance of a writing retreat. I intended it to be a short story of about 10 pages. I just wrote and wrote, night after night. I don’t know where it came from. It has become a cliché that when you’re in your zone, you become a vessel for a larger muse, but it’s true. It doesn’t feel like Om Namah came FROM me—it feels like it came THROUGH me. SW: Was there a phase of plotting the narrative arc, the initiating incident, precipitating events, that sort of craft work? K: None at all. There is enough basis in reality for me to know how the story turns out. SW: I think anyone’s question on reading something so intimate, that goes so deeply into the emotions is, is it based on truth? To what degree? K: The disclaimer on the first page says that it is all fiction. SW: Many first-time authors draw on their own experience because they have enough of a learning curve with the craft of writing without also mastering creating fiction. K: It was definitely a story that I needed to tell. K: Although the events were based in real life, her response to them was not. It was extremely cathartic for me, because she takes the time to crash and burn that I didn’t have. It was helpful for me to see her healing the way she needs to. SW: Which gives me insight that writing a fictional response to true events can be part of a healing process. K: It was the best thing I’ve ever done for my wellbeing. Writing as fiction gives you enough distance to process it at the same time. We can offer compassion to someone outside ourselves better than we can offer it within ourselves. The protagonist now serves as a role model for me. I still have a long ways to go in my own healing, but when I have a day where I start flashing back, I remember how she allows herself to stop and take up ground. SW: I love the personal transformation, her claiming a new way of being in the world. She gets a job in security, and that’s such a great metaphor for protecting herself and others. K: Yes, that sense of rage and anger that is in her gradually becomes a sense of balance. When you get to the conclusion, she’s strong, but she is not overly aggressive. SW: And she can allow herself to be vulnerable. Her courage is inspiring. SW: Tell me why you chose to write in the second person. That’s unusual. K: I was the only one who liked that idea initially. My editor warned me away from it. But it was important for me to take that risk because I was hoping readers would be able to relate to it as their story, rather than reading someone else’s story. SW: I thought it was brave of you to try, and I thought you sustained it incredibly well. For me, it did exactly what you hoped it would. I have tried to sustain the second person too, and it’s difficult. As a writer, it forced me into being more observant, just to get away from using “you” (I) too repetitively. SW: Are you pleased with your choice of Outskirts Press to publish your book? Now you are the business woman promoting your book. K: What I most enjoy is just tucking into my creative space and doing the writing. But I really enjoyed the whole process of putting the story out there. In order to claim our voice, we need to be heard. That’s my focus now, sharing that story. Come to find out, I’m not the only one who’s been manipulated by a teacher or guru. SW: How did you find your team? K: I found Kathy Steffen, my editor, through the UW-Madison Write by the Lake program. We have an amazing working relationship. She asked me questions that took me so much deeper. I came across Outskirts Press through my research. They provided the services I needed, including the cover design and a marketing page on their website. SW: How are you promoting Om Namah? K: I’m open to any opportunities to talk about it. It’s just about bringing the community together, through meet-the-author events, to start that dialogue about spiritual discernment. I would love to see independent bookstores carry it. K: As much as I enjoy sharing the book, the writing is the best part. That’s why I’m really grateful that I have another work to throw myself into. It’s a novel, but not nearly as angst-y as Om Namah. Om Namah is available from Amazon, here. A graduate of Northwestern University with a degree in literature, Kalyanii is the author of a collection of poetry, two stage plays, dozens of short stories and hundreds of articles. 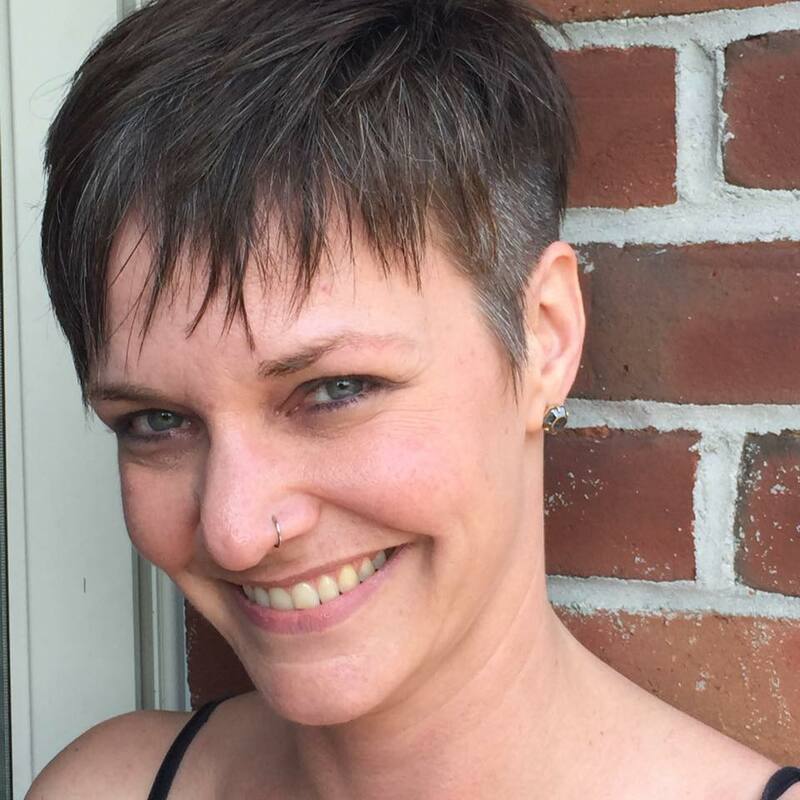 She currently works as a counselor and meditation instructor and enjoys wiling away her free time manifesting her culinary inspirations and reveling amid the magnificence of nature.